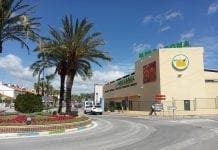 MIJAS Local Police arrested two men from Ojen, for their connection with a marijuana plantation, located in Mijas. Police received an anonymous tip-off that an abandoned warehouse was being used as a marijuana plantation. They soon discovered 79 cannabis plants and farming tools. A 33-year-old and his 49-year-old cousin were arrested when they came to cultivate the farm. The plants have been taken to the local police headquarters where they will be destroyed.